The snow was melting rapidly from a “historic” storm named Jonas. But there were still dirty gray mounds around the esplanade of Yankee Stadium, which happened to be just a block from where Mike from Yonkers summoned us. While Eugene was on his annual pre Super Bowl cruise; this time far away in the South Pacific, we were going to dream of warmer climes dining on Jamaican food at a place called The Feeding Tree. Zio, Gerry and Mike from Yonkers were all present in the bright, spacious Feeding Tree dining room when I arrived. 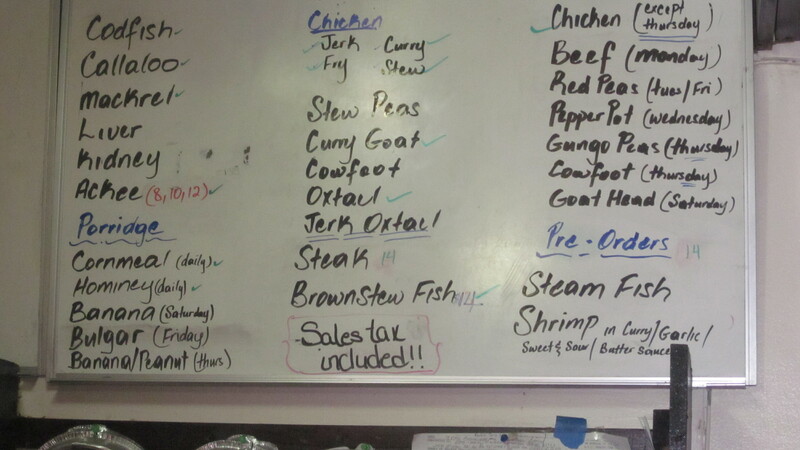 The menu featured familiar Jamaican fare: patties, jerk, curried goat, brown stew fish, oxtails, and escovitch fish. 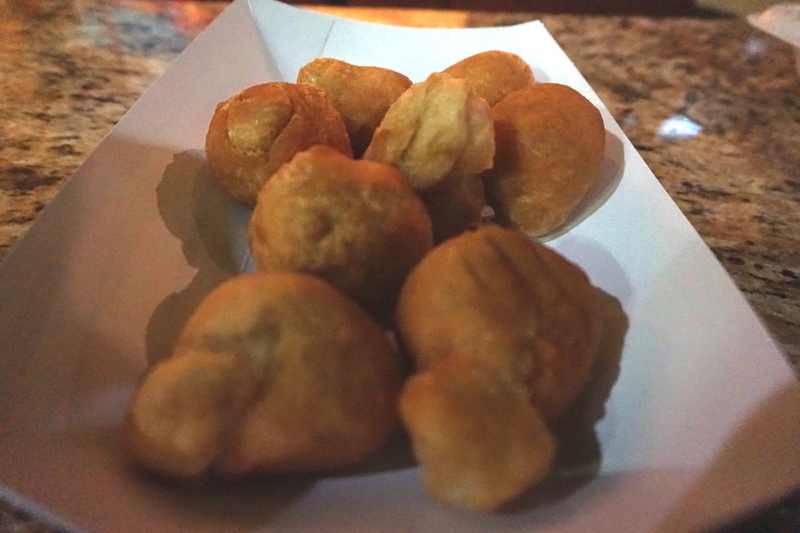 And like other Jamaican restaurants, eating after a certain hour of the day can be risky—the pickings usually scarce. “Jerk salmon,” Mike from Yonkers said to our waitress. “I’m going gluten free today,” he added as if any of us cared. “We are out of salmon,” she informed him. “Then I’ll take the jerk snapper,” he said with no remorse. “Do you have patties,” I inquired. “Patties are gone,” she said. She nodded and we ordered six jerk shrimp as an appetizer. I ordered it…as if I had a choice. Zio looked at the waitress. “I’m easy,” he said. “Jerk chicken.” She must have liked that Zio was easy because she offered him a shy smile. Hoping for the same result, Gerry said: “I’m easy too. 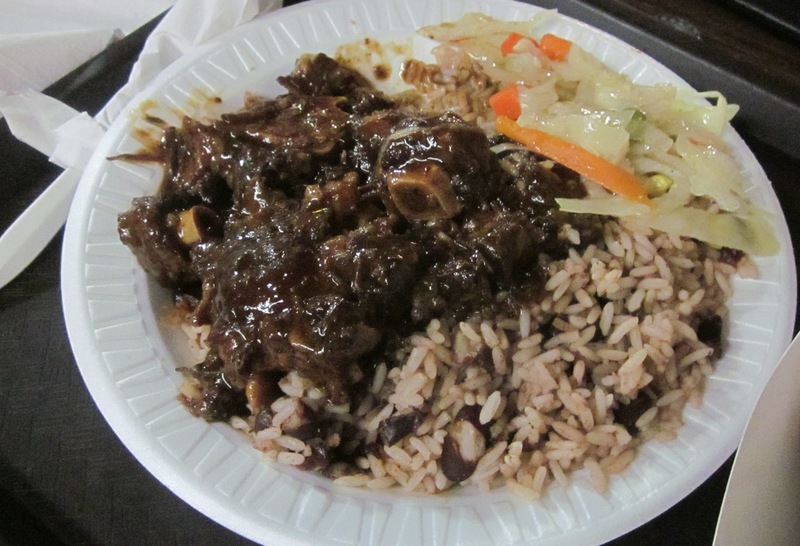 Oxtail stew.” But the smile was gone and so was our waitress with our orders. While we pondered what specialties Eugene was encountering on the all-you-can-eat buffet line of his cruise boat, a stranger approached our table unexpectedly apologizing for being late. We looked up and discovered that the stranger was no stranger at all, but our long absent eating companion Rick, who made the trip to the Bronx all the way from his money pit in New Jersey. Thankfully, Zio had already devoured the spicy jerk shrimp that had been in his mouth for a millisecond before Rick’s arrival. None of us wanted to do the Heimlich maneuver on him unless absolutely necessary. We all quickly recovered from the shock of seeing Rick who had surprised us by his unannounced presence. “I figured it best that I just show up. Better to walk the walk than the opposite,” he said. “Yeah, you just came today because you knew Eugene wouldn’t be here to flog you,” Gerry said. Our waitress returned with our food before Rick had a chance to order. “What’s easiest?” he asked. Rick wanted to be easy also. She pointed to the oxtail stew that was in front of Gerry. “I’ll have it,” Rick said and a few moments later there were oxtails in front of him. 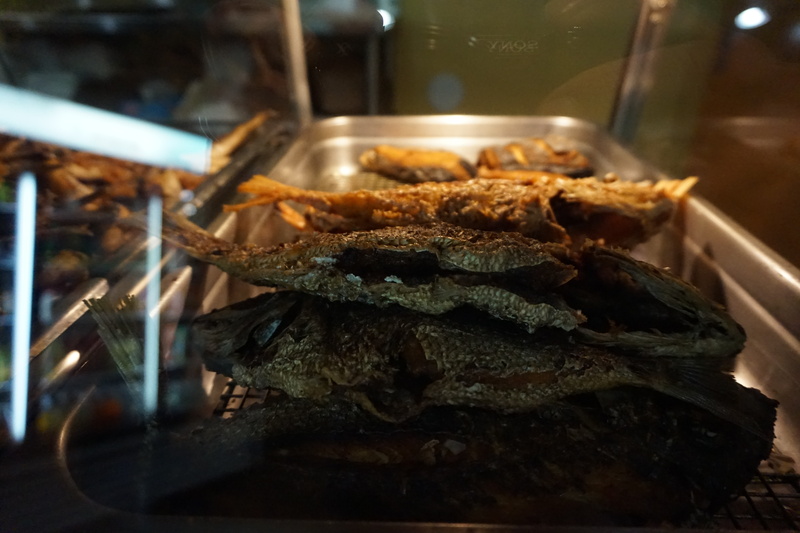 There was also a brown stew snapper in front of me—and in front of Mike from Yonkers even though he ordered the jerk snapper. Last but of course not least, Zio’s jerk chicken arrived covered in a spicy jerk gravy rather than the dry jerk rub I am more familiar with. 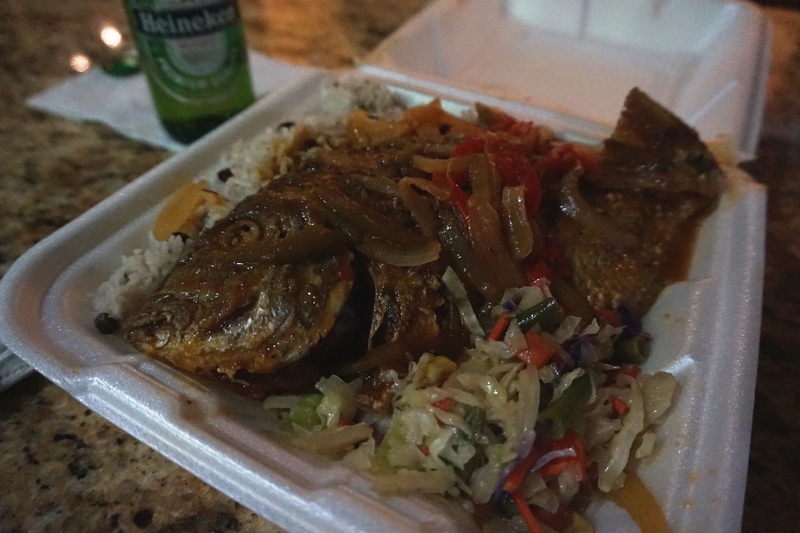 All the dishes were accompanied by a mound of rice and peas and cabbage. 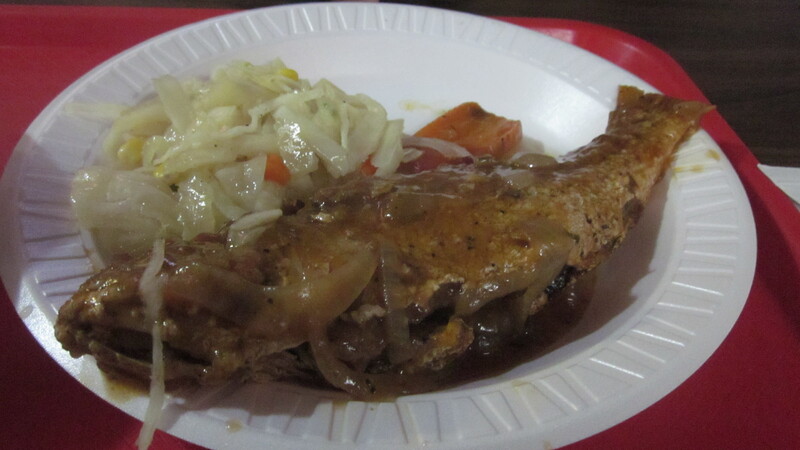 The snapper, drenched in a rich brown gravy and adorned with onions and carrots was moist and full of flavor and with just enough of a spice bite. I did my best to keep the picked apart bones on my plate rather than scattered around the table while Mike from Yonkers didn’t seem to care that he piled his fish carcass on the table instead on his plate forcing our waitress to have to deal with all those bones with her bare hands. All the dishes were “browned” not that there was anything wrong with that. After calculating what we owed and coming in just under our $20 budget, we wandered out onto Gerard Avenue. The lights on the hulking Yankee Stadium proclaimed that there were tickets available for the upcoming season. I wasn’t ready to splurge for Yankee tickets just yet, but when and if I did, an order of jerked or browned something would be a much better alternative to an overpriced hot dog. The kangaroo court was in session. I just wanted to enjoy my meal at Frank’s Soup Bowl in peace, but Eugene insisted on disciplinary action. He was adamant that Rick was in serious violation of the code and ethics of our loosely structured food group. “How can a guy just forget about the dates? What’s this, like the sixth straight he’s missed? He needs some sort of punishment for his actions,” Eugene clamored. I was picking at the brownstew fish in front of me, doing my best to tune out Eugene’s bellowing. 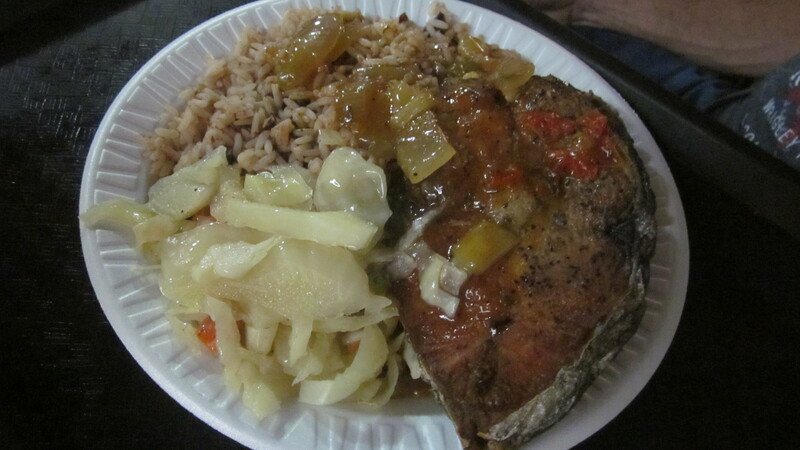 The fish at the tiny Jamaican, take-out mostly place, smothered in a light brown gravy was cooked to tender perfection. 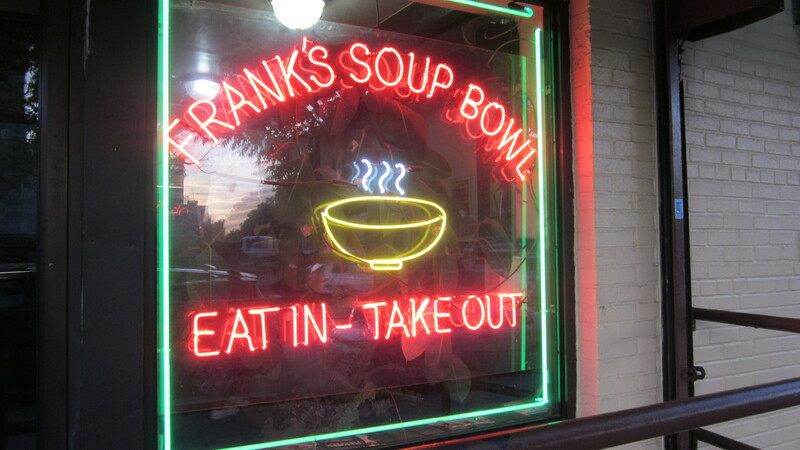 When Rick, the day before we were to meet and who was supposed to chose the eating venue, for the second straight time bowed out, Mike from Yonkers stepped in admirably and quickly chose Frank’s Soup Bowl in the Caribbean enclave of Gun Hill Road in the Bronx. “Oh, stop making excuses for him,” Eugene scoffed. I shrugged and concentrated on the fish. Not only was it the second straight abrupt cancellation for Rick, he had been absent for most of 2013’s gatherings. Zio, conciliatory by nature, after slurping a few spoonfuls of the red bean soup, agreed. “I mean, really, how do you forget? Even I saw the emails.” This from a man who is famous for not reading emails. See our last adventure at Hong Kong Café ( Cantonese Cappuccino). Gerry didn’t let the proceedings diminish his enjoyment of the plate of fish escovitch, that Jamaican specialty, steaks of king fish marinated in pickled onions, cabbage, allspice, and peppers. “A lifetime ban?” he suggested semi-seriously but without a bit of rancor. 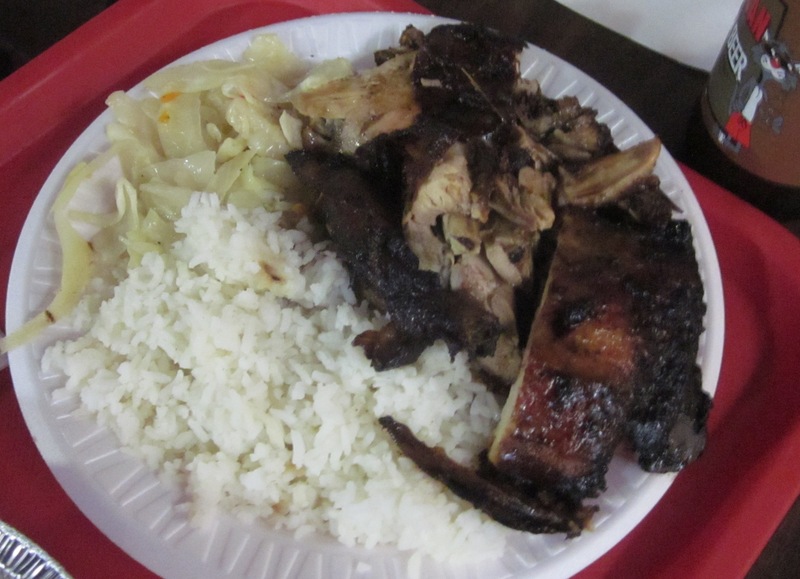 Being a jerk aficionado, the chicken, though roasted slowly, the meat moist and pulling clean from the bone, lacked the fire and the smoky flavor found in Jamaican roadside jerk and what I come to associate with the dish. 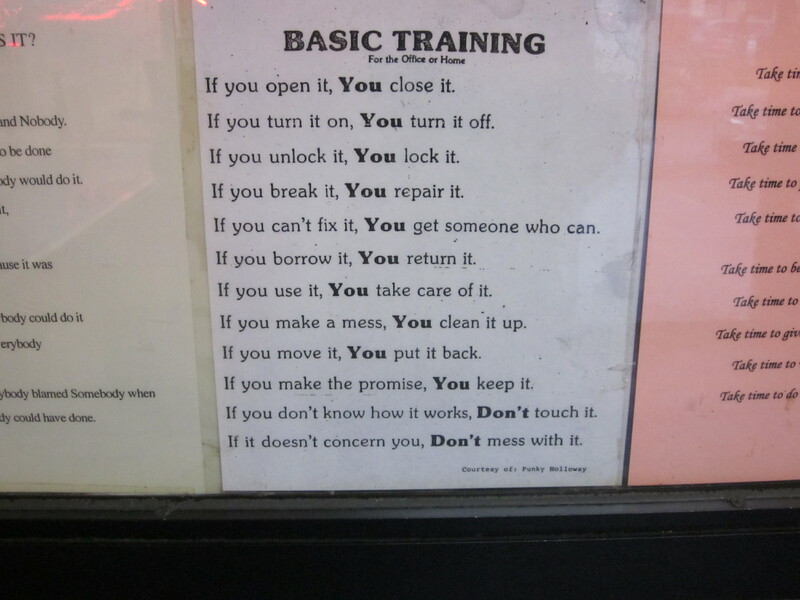 I shook my head. “No a lifetime ban is too severe,” I said. Mike from Yonkers thoughtfully added a plate of jerked oxtail, some codfish fritters and sweet plantains to our table. I grabbed an oxtail and sucked the meat from its hard, gelatinous tendon. The richness of the meat helped temper the heavy burden that had been placed on my shoulders. “We’ve all made mistakes over the years,” I said, trying to get Eugene and the others to see that we should not be so harsh. In our early years, Zio brought us to Uncle George’s Greek tavern and he’s had to live down the unfortunate experience ever since. “Yeah and that place Gerry had us schlep out to in Sheepshead Bay?” Eugene said. 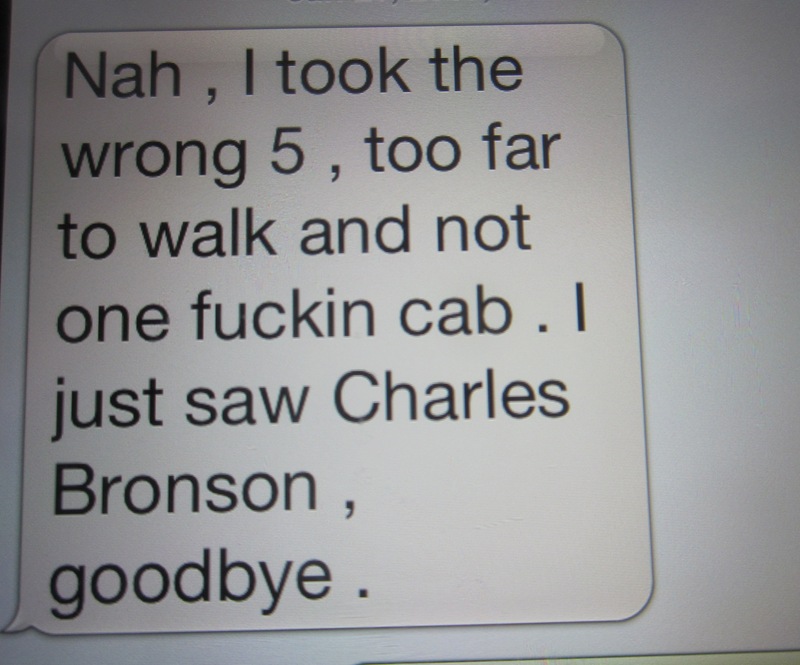 “That Turkish place was good,” Gerry responded. “You can’t not penalize him,” Gerry stated. “But is it fair that he is not here to speak in his own defense?” I asked. I nodded. He was right. We were finished at Frank’s Soup Kitchen but I hadn’t come to a resolution concerning Rick. We headed outside to the street. It was a beautiful, cool Summer evening and we lingered outside the restaurant before going our separate ways. “Well?” Eugene wanted a ruling. “I’ll think of something,” I said, postponing my decision for the time being. The New York Times listed this year’s baseball Hall of Fame inductees in their paper yesterday. The page was a blank. No one received over 75 percent of the vote necessary to gain entry. To compensate for the lack of 2013 baseball Hall of Famers, I’m creating my own Hall of Fame, but not for baseball players. Mine will be for the most deserving condiments on the planet. And they don’t need over 75 percent of anyone else’s vote. For now, I’m the only judge for this award, and I swear I won’t hold it against a condiment if they might be, or once were, pumped with steroids or anything else chemical or artificial. I know in the world of condiments, there is no such thing as a level playing field. So, the inaugural inductee to the Neck Bones Condiment Hall of Fame is that Jamaican treasure: Pickapeppa Sauce. 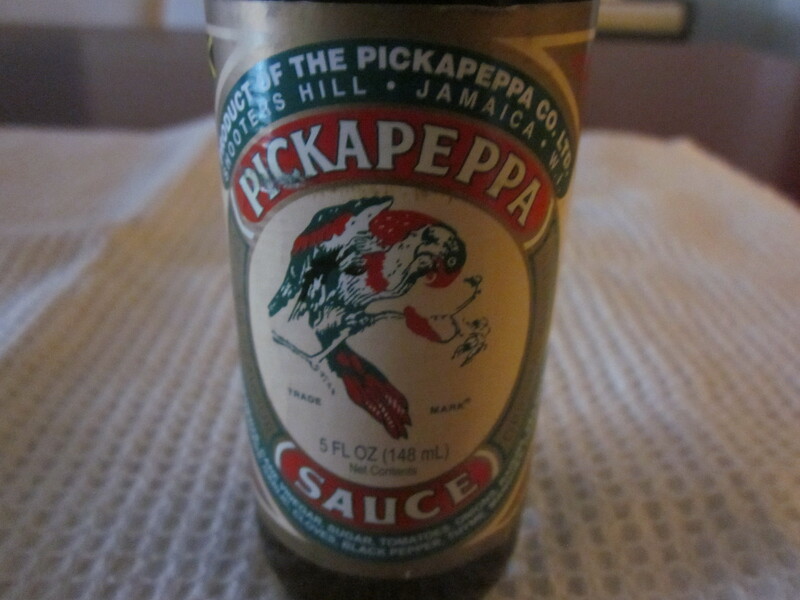 Pickapeppa originated in 1921 and still is produced in Jamaica, in a place called Shooter’s Hill. I once drove past the Pickapeppa factory many years ago, but foolishly didn’t stop to wander the facilities to learn how such a unique sauce is concocted. So I can only go on what it says on the label of the bottle which tells me that the ingredients include mangoes, tamarind, tomatoes, onions, sugar cane vinegar, raisins, and “spices.” And then, like good Jamaican rum, the sauce is aged in oak barrels for a year before it is sold to the public. 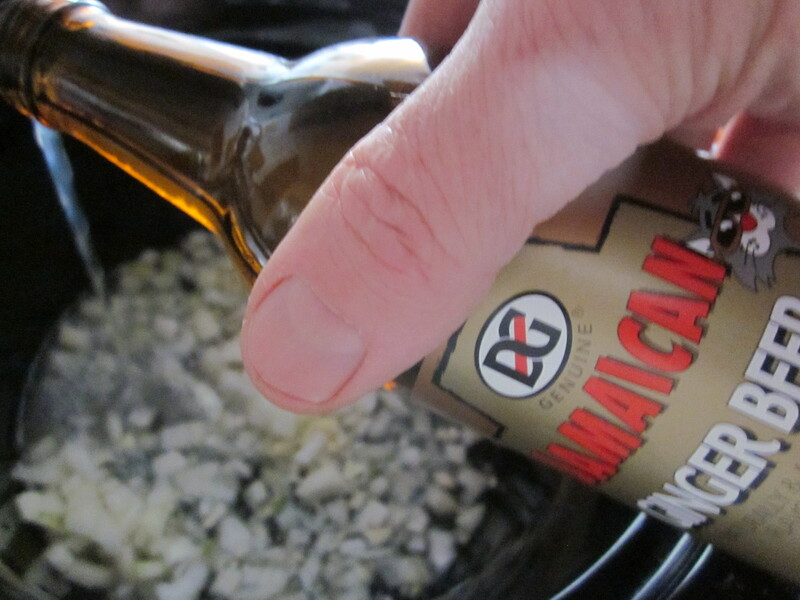 In Jamaica, Pickapeppa became famous as an accompaniment to cream cheese. I can honestly declare that I have never contemplated topping a bagel and cream cheese with Pickapeppa sauce, but maybe I’m missing something. Pickapeppa is also commonly used an added ingredient to marinades for barbecues, a baste for fish or meat, and stirred into gravies for a tangy kick. I’ve used it as a dip for samosas , tempuras, and fried fish, to lively up a dull or dry piece of meat, or sprinkled on scrambled eggs. On the website www.pickapeppa.com; there are a number of recipes including one for a Creole bloody mary that looked intriguing. In fact, I’ve heard that the sauce has become a favorite new source for creative Caribbean mixologists. 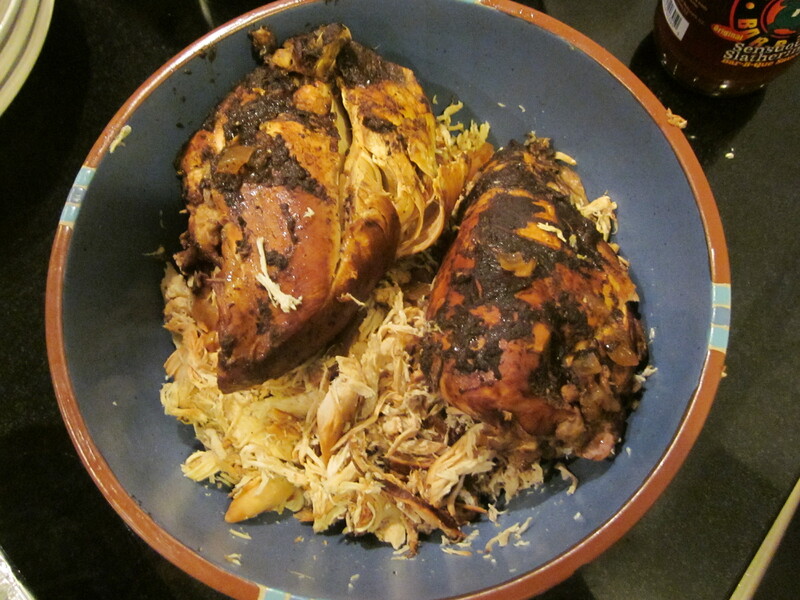 As a tribute to Pickapeppa, I cooked up one of the recipes on the website: Pickapeppa Pulled Chicken. I’ve tweaked it somewhat, but otherwise, I present it here, pretty much intact. 3 dashes of hot sauce. 2/3s of a 12 ounce bottle of ginger beer. *The website’s recipe calls for a 15 ounce bottle of Pickapeppa sauce to be used. I’ve never seen a bottle larger than the traditional 5 ounce bottle, so I’m not sure if it was a typo or not. Either way, Three ounces of the rich sauce seemed more than enough for me. Pickapeppa with two potential Hall of Fame inductees. 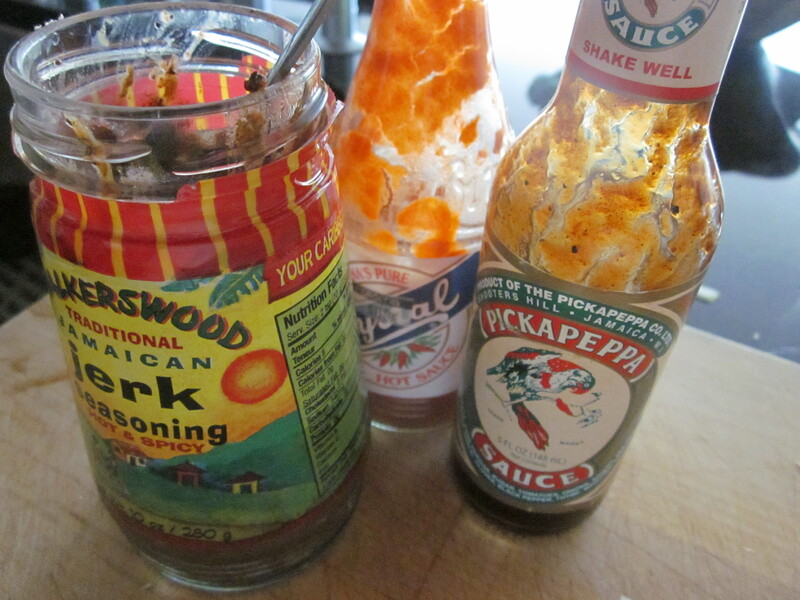 Combine the Pickapeppa Sauce, jerk sauce, hot sauce, and olive oil in a small bowl and mix. 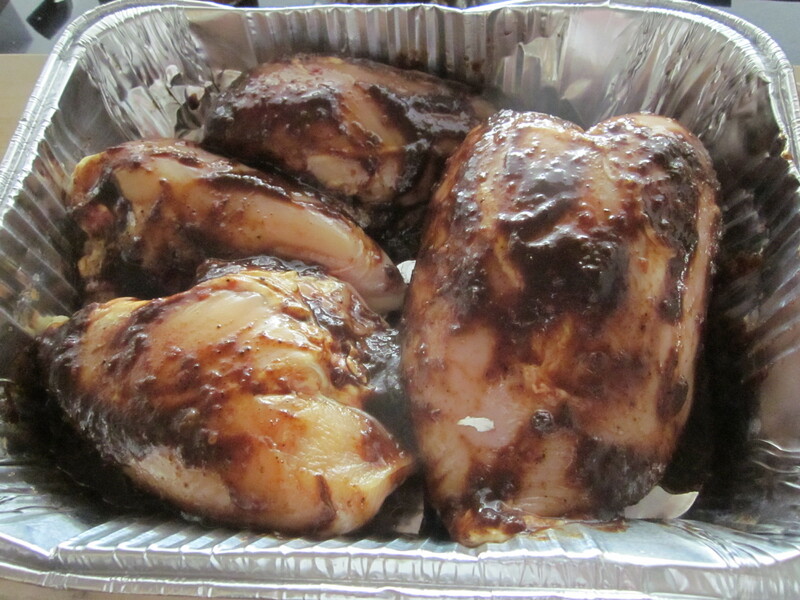 Coat the chicken breasts with the sauce and let sit at room temperature for a half hour. 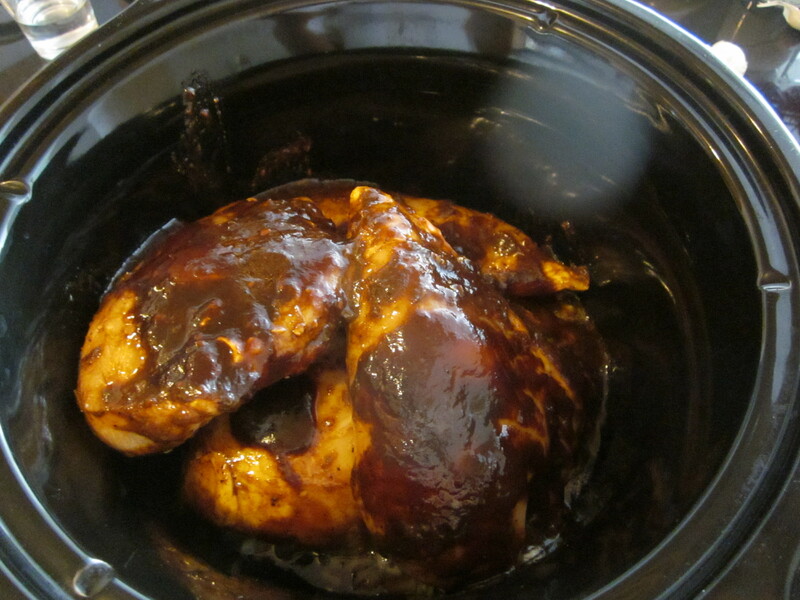 Add the chopped onions and garlic to a crock pot or slow cooker and then pour in 2/3s of a bottle of the ginger beer. You could toss in the whole bottle, but I saved a third to use in a well deserved Dark & Stormy that I figured would be the perfect pairing with the pulled chicken. Add the chicken breasts, cover and cook on low for four to six hours. When done, shred the chicken breasts, be careful to remove any bones, and add in a few tablespoons of the cooking liquid to moisten. Serve on rolls or not, and top with any remaining Pickapeppa sauce you might have. 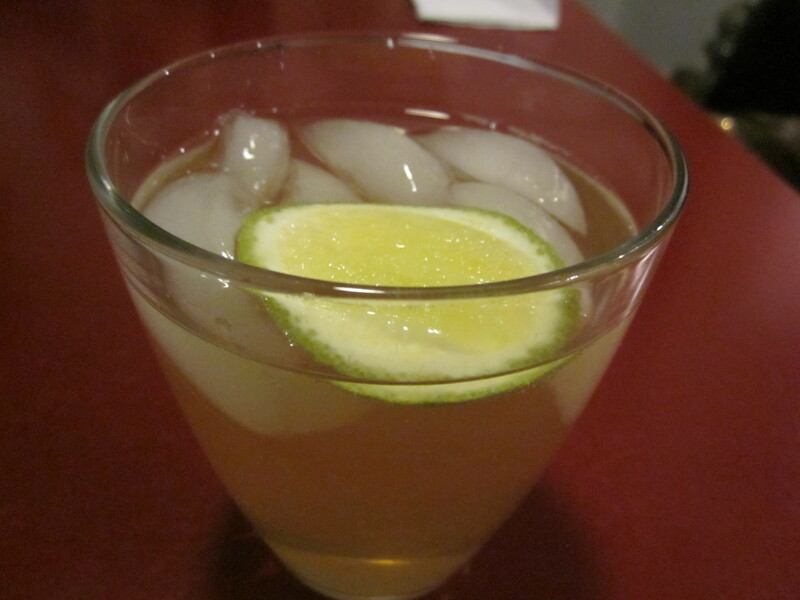 The beverage of choice to accompany Pickapeppa pulled chicken: Dark and Stormy. If you have any personal tributes to Pickapeppa on this, it’s Hall of Fame induction day, please don’t hesitate to include them in the comments section below. As seen in the People’s Choice Kitchen. And the beef patties were good too. 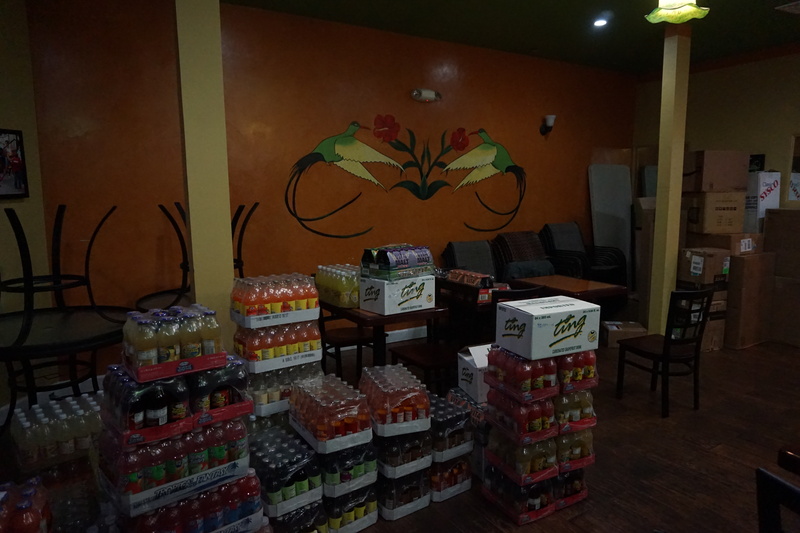 I had been to Jamaica many times for both business and for vacations and was very familiar with the food. 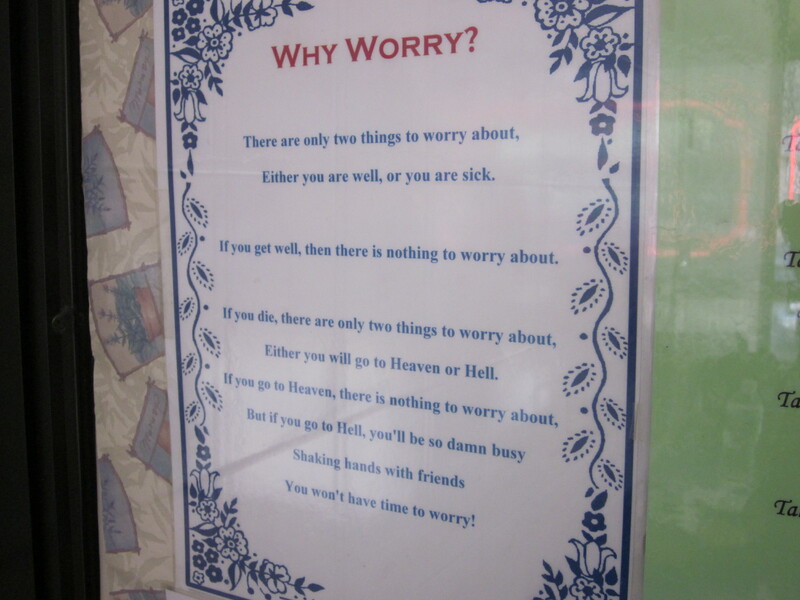 I knew it would be hard to replicate my island experiences, but I was curious to see how this one compared when we visited in December of 2002. The wind was howling down the northern fringes of Amsterdam Avenue on a frigid early December night. 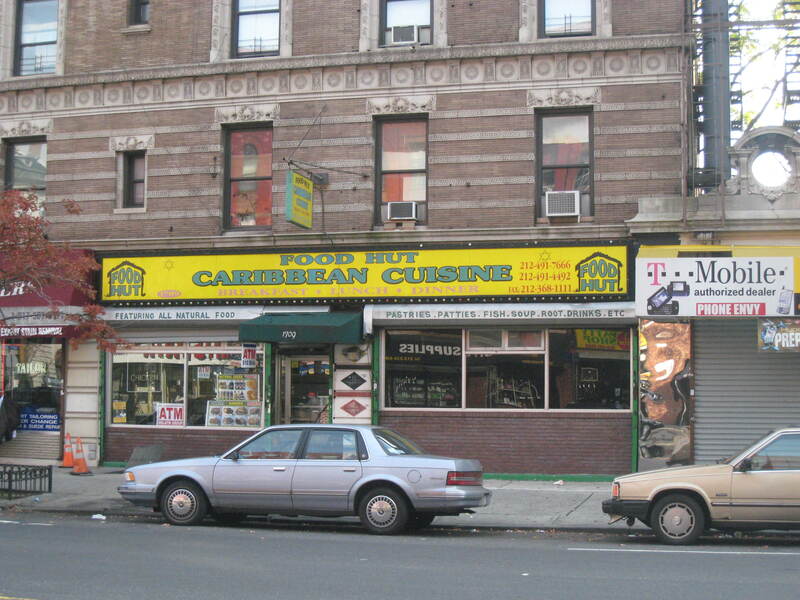 I was waiting for a transfer to the M101 bus from 135th Street to take me ten blocks up to my destination: Toyamadel, the Jamaican eatery I chose for our stouthearted group of diners. But on this night, the stouthearted were diminished in numbers. Charlie took an early exit by having a tennis match (indoors we hope) scheduled on the evening of our meet while Gerry, due to a family commitment was also absent. So when that 101 finally and thankfully arrived and shuttled me the ten blocks north to Toyamadel, only poor Eugene was waiting, cell phone in hand thinking he would be left deserted on that desolate night in the brightly-lit restaurant dining room surrounded by root tonics and coco bread. Soon Zio appeared, layered in his favorite arctic gear, and then Rick, more urbane in his noir-New York threads. Whatever your attire, you had to keep the coats on here—the heat from the restaurant’s radiator was feeble at best. Toyamadel was not like our other experiences. With a miniscule dining area, the restaurant was mostly take-out. We didn’t waste time making small talk before ordering from the somewhat beleaguered woman behind the sturdy plexiglass shield. By 7:30 the menu had been remarkably paired down. 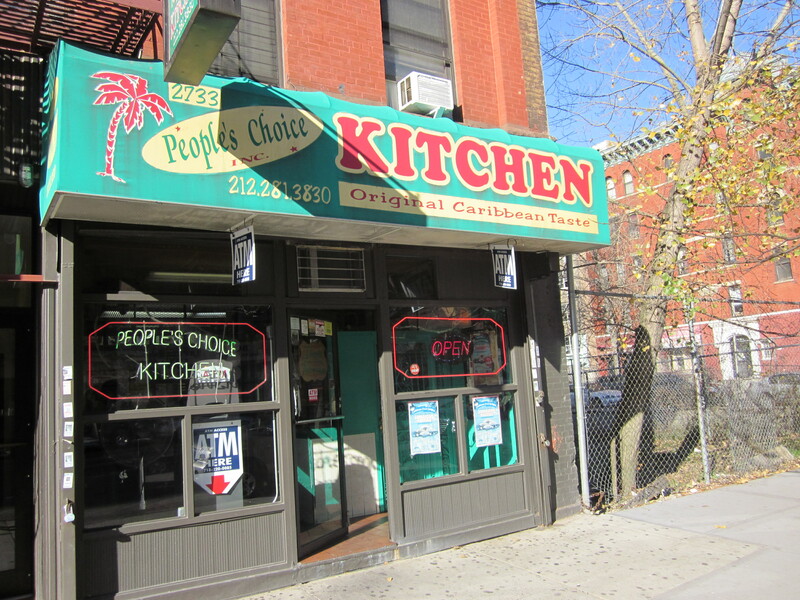 Many of the desired items typical of Jamaican cuisine had a blue star next to them. This blue star, we were told, signified they were out of that item. The curry goat was gone. The ital vegetable stew was history. The brown stewed chicken, a memory. The red and the blue snapper: finis. And to Zio’s dismay, they were even out of the stewed cow foot. But that did not mean we didn’t have anything to choose from. There were still both vegetable and chicken patties available and we tried two of each. The jerk chicken was without a blue star so Eugene and Phil quickly ordered it. 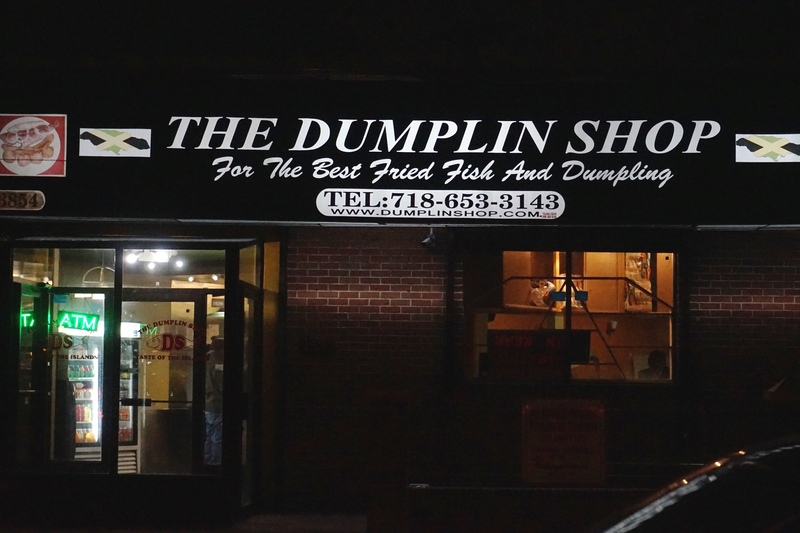 I went for the stewed codfish, an item from the breakfast menu that had remarkably survived until dinner while Rick decided on the oxtails. The next major decision was the size of our dinner. Behind the shield and near the menu there were displays of the $6, $8, or $10 portions. The empty $10 portion plate just didn’t look like much up there on the display, so, without really any hesitation, we went for the biggest portion. The drink menu, though non-alcoholic, was extensive. None of us were courageous enough to sample any of the pricey herbal tonics on the menu such as “Doctor Bird Bitters,” “Sun Dial Wood Root,” “Groundation Root,” “Root Force,” “Rage Roots,” “SSS Tonic,” and “Irish Moss” that promised, among other things, to help get “Johnny” in the words of Bob Marley, to “get up, and stand up.” The prospect that presented was, considering our motley group, just too frightening to even consider, so we stuck to more familiar fare; lemonade, ginger beer and the Caribbean Christmas specialty, Sorrel, which Eugene sampled and immediately approved of. Months after the sweet bean dessert experience at the Filipino restaurant in Queens, Eugene, it seems, was still having difficulties coming to terms with the fact that what was supposed to be a sweet fruit dessert had cannellini beans in it. Something about those beans had, evidently, struck a primal chord in his subconscious memory. But Eugene’s subconscious was an area we really did not want to explore. 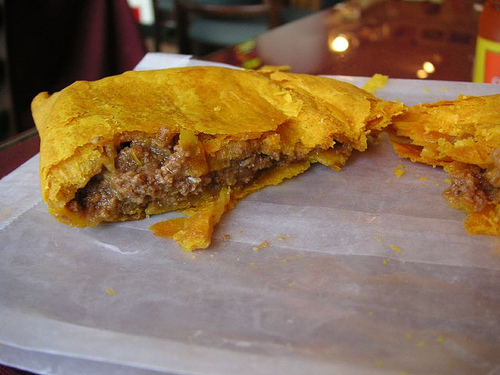 The patties were slipped to us in a brown paper bag under the plastic shield. Topped with Pickapeppa sauce, both the chicken and vegetable varieties were quickly devoured. 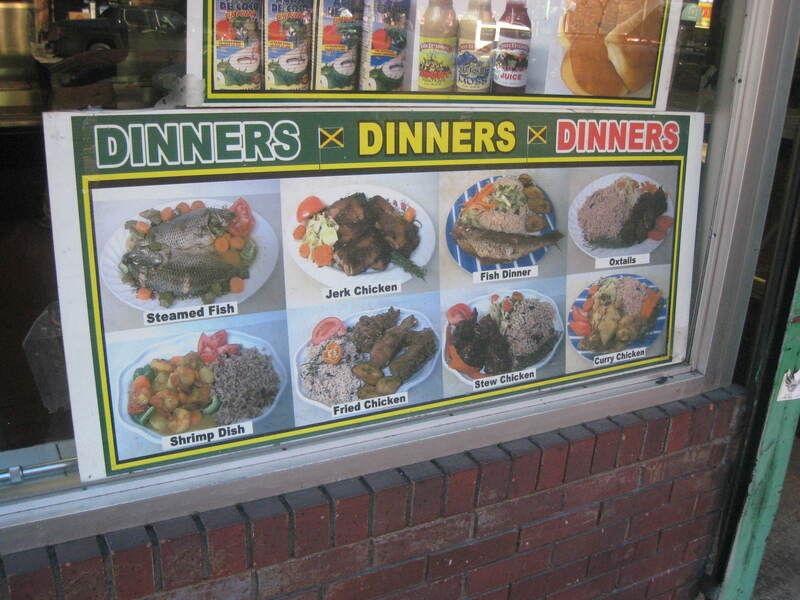 The $10 dinners came next; the tins in which they were served weighed down with meat, rice and peas, plantains and salad. My stewed codfish was tender and not overly salty. But the combination of rice and peas, yams and plantains—a serious starch overload—was doing me in. Being the jerk aficionado I am, I had to sample Zio’s chicken. With the possible exception of what I’ve prepared on a Weber grill, back in the days when I had a Weber grill, I’ve not had jerk chicken replicated anywhere near what you can get in Jamaica. Toyamadel, I’m afraid, was no exception. The chicken was tender and the sauce flavorful, though not too fiery. But it just didn’t have that smoky, earthy flavor you get when ordering from an open air jerk stand on the island. As usual, we over-ordered, the $8 plates would have been more than enough. But that didn’t stop Zio and I from consuming slices of a freshly made carrot cake. 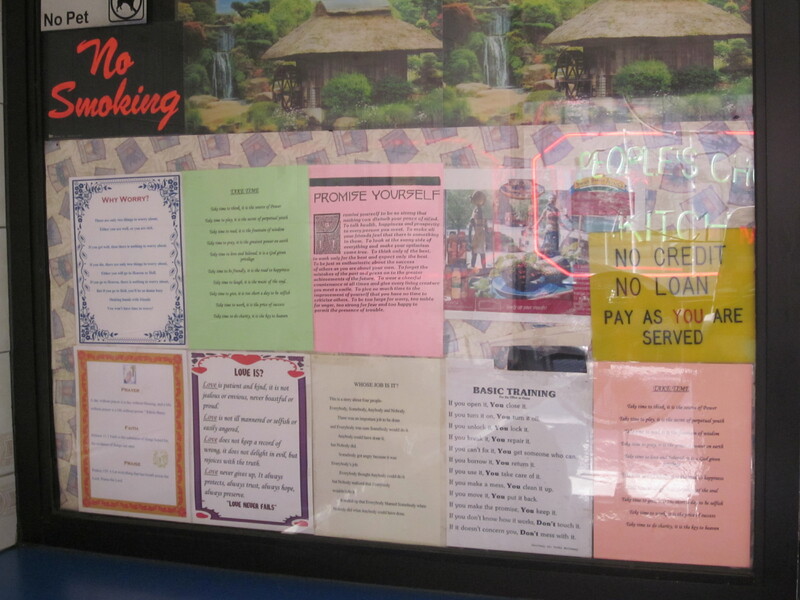 By the time we paid, $14 per person, well under our allotted $20, there were even more blue stars next to items. But the customers kept coming. And the door kept opening and closing with freezing regularity. Toyamadel closed soon after we visited and reopened as “The Food Hut.” I returned recently and noted that the menu was exactly the same as I remembered nor were any alterations made to the bare bones interior. Even the prices had remarkably held with plates ranging from $6 to $10 dollars. I tried a veggie and beef patty; ordering at the steam table and then paying and receiving my order under the plexiglass shield just as I had eight years earlier. Grateful that some things just don’t change, I found a seat at one of the tiny restaurant’s tables and ate the patties.